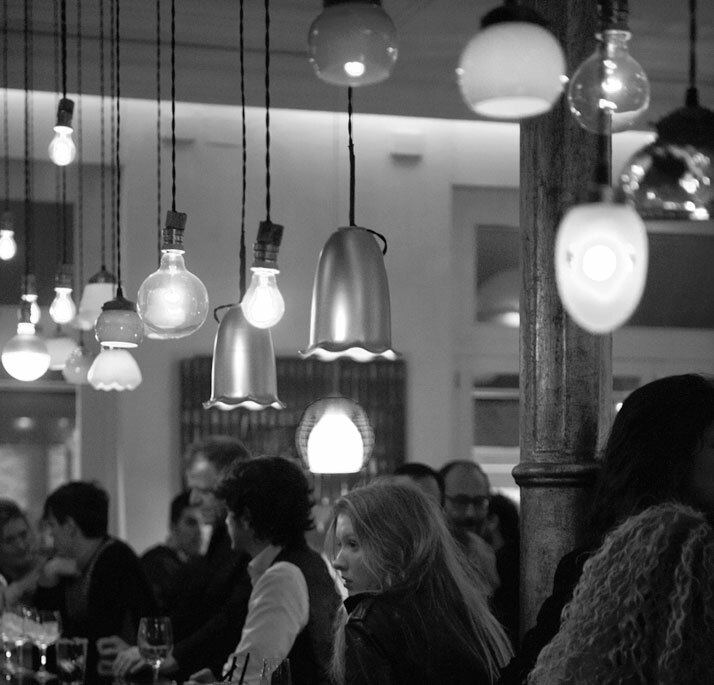 Vintage materials and retro lamps from the 50s fill up the amazing room of cafe KAFKA. 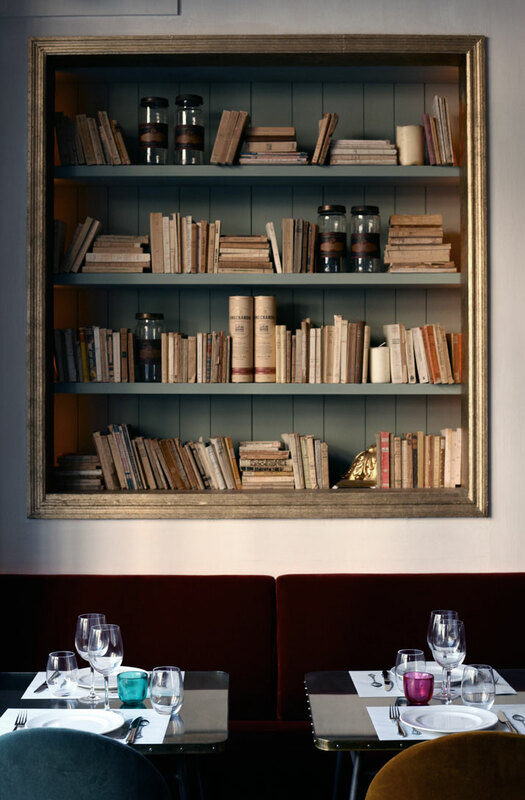 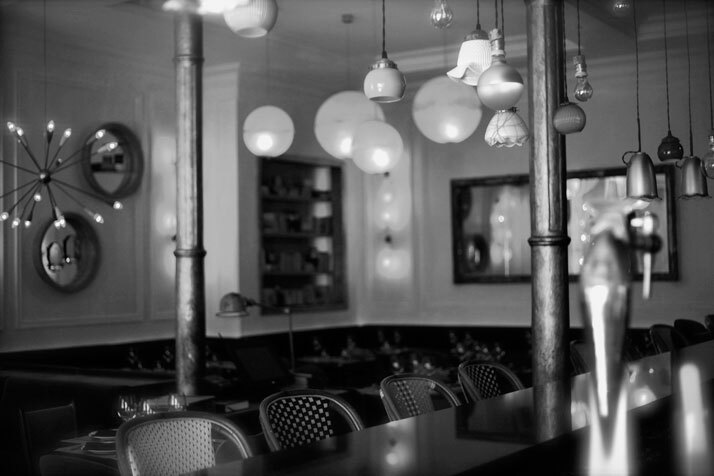 Under the literary name of Café Kafka, the restaurant presents itself as a cosmopolitan bohemian bistro that offers comfortable and cosy shelter and good food. 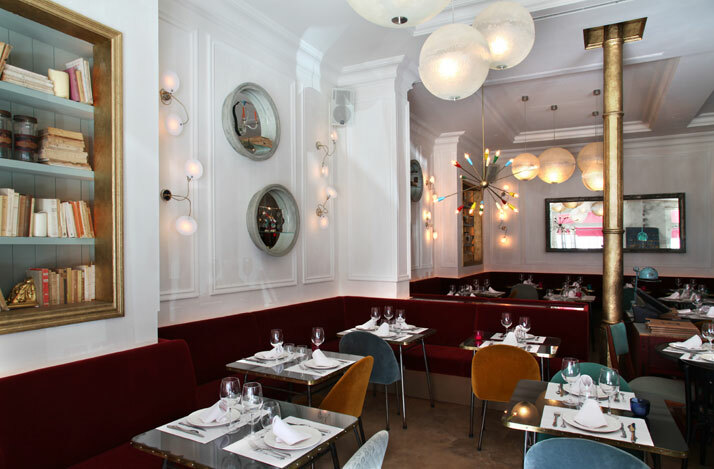 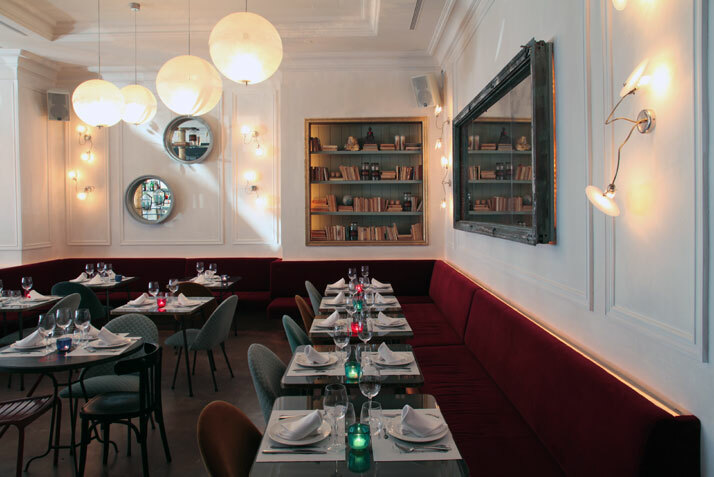 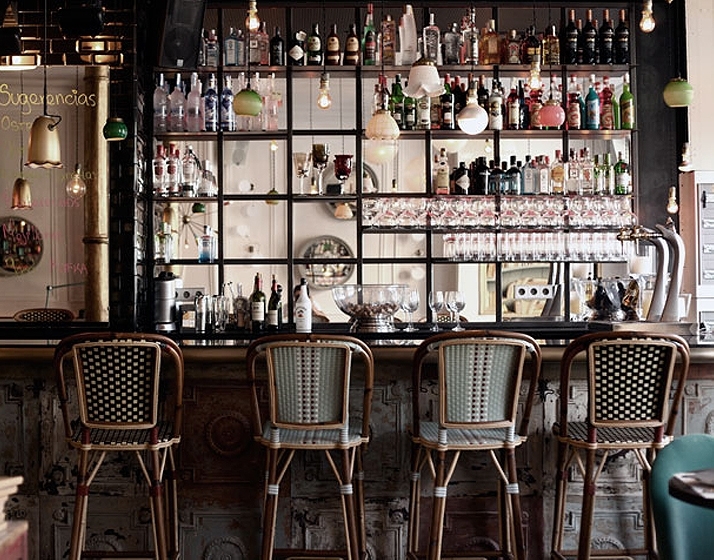 Karel Schröder, its new owner, has created the conditions to accommodate a diverse clientele: young, curious travellers, or urban gourmets of all ages that reflect the lifestyle of a neighborhood in Barcelona often compared to Soho in New York or Le Marais in Paris. 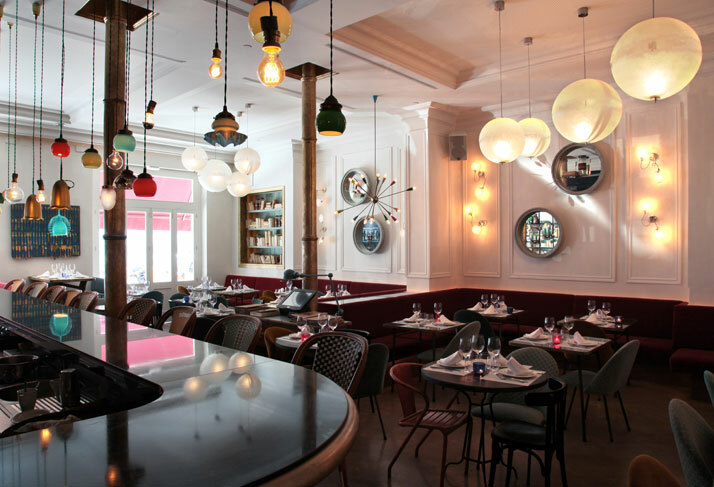 Vintage materials and retro lamps from the 50s fill up the room, creating a warm atmosphere, halfway between an eccentric home, a literary café and a bistro Saint Germain. 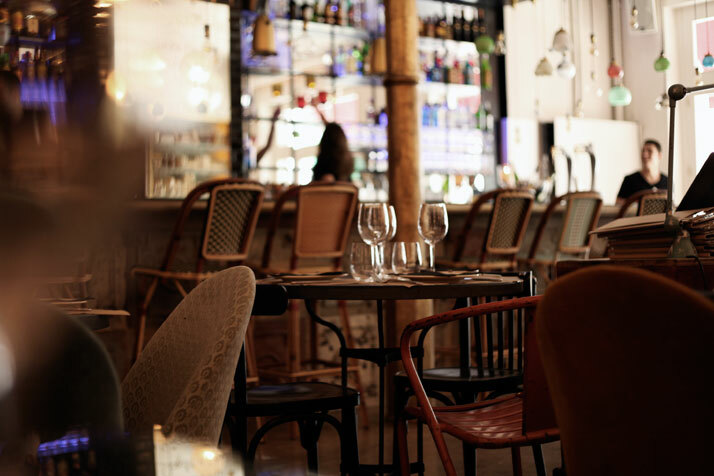 Here you can enjoy Mediterranean gourmet dishes but with an Asian twist, both in their spacious living room, and in their busy bar, where you can have drinks until 3am.